Hopefully you all have had a fab day so far! 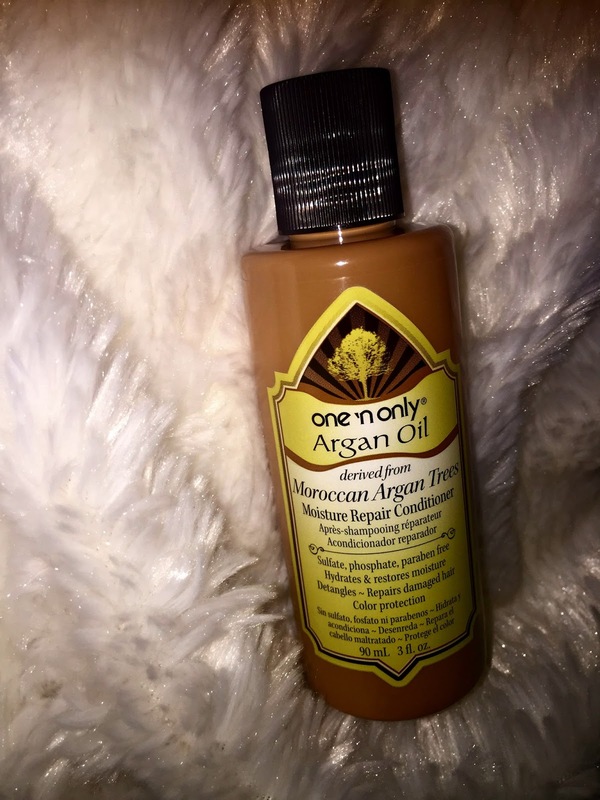 Today on the blog I am going to give you a review on the the One’n Only Argan Oil Products that I received in my August Curlbox! If you missed my August Curlbox unboxing then click here to check it out. I was so excited that these products came this month, and they came at a perfect time. I was just getting ready to take my hair out my crochet style and it was time to clean my hair. Since this was the whole product line, I was able to to test it out. I’m going to give you guys the run down on each product. The only product I didn’t try unfortunately was the curl cream, but hopefully I will get to try that sometime later. Let’s get into the review! This shampoo was really great. It wasn’t too harsh on my hair, and really cleaned my scalp and hair. I was afraid that it would strip my hair and make it feel dry, but it did the total opposite. 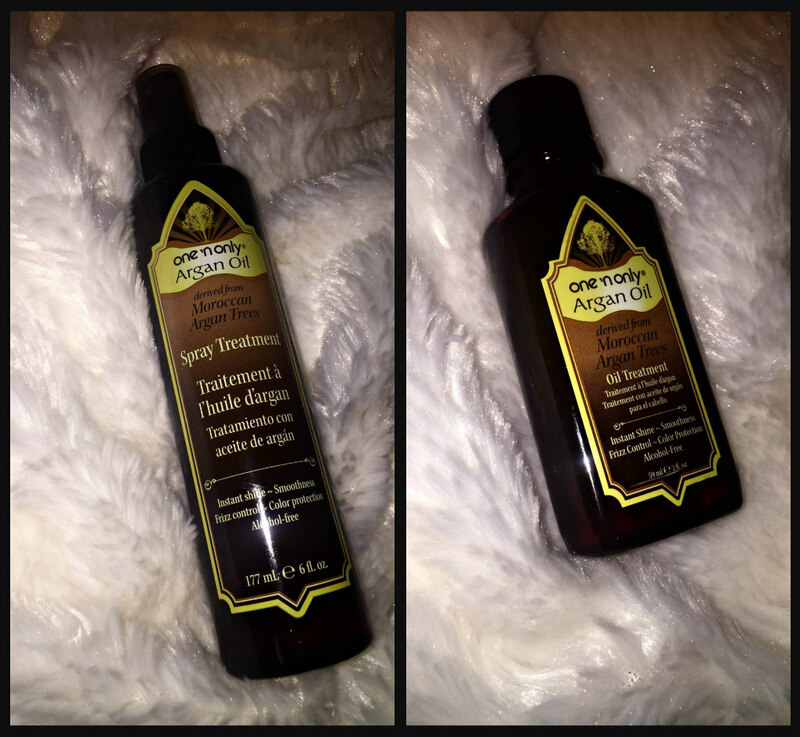 It make my hair feel really clean, and I actually was able to use as much of this product as I wanted. I can definitely see myself buying this shampoo again. You don’t find alot of moisturizing but cleansing shampoos out there. 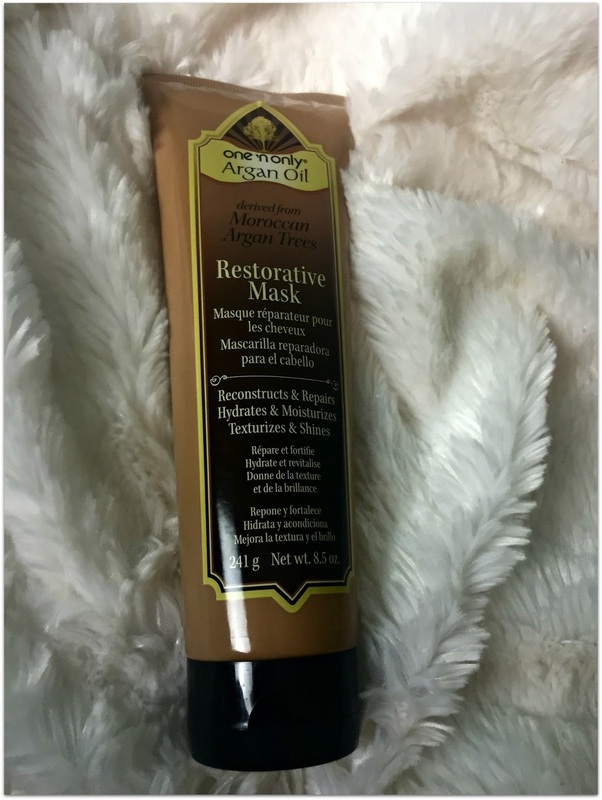 The next product that I used was the moisture repair conditioner and it was just as amazing as the shampoo. 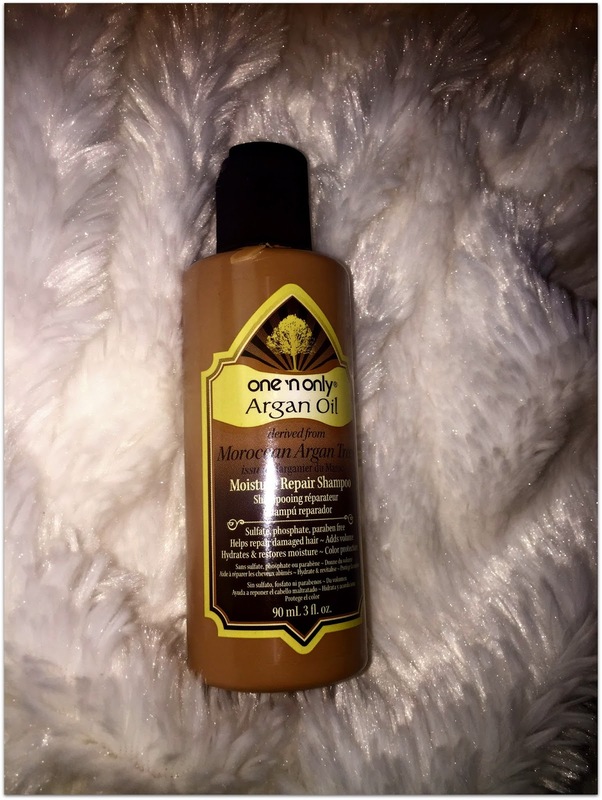 This added alot of moisture to my hair and made it feel very soft. I left it on my hair 1-3 minutes as suggested on the back of the bottle. During that time I de-tangled my hair and this conditioner made de-tangling my hair very easy. It gave my hair great slip, and all of my unwanted hair just came out easily. I would definitely buy this product again. This product right here is amazing!!!!!! It made my hair feel really soft, and I didn’t even have to keep it on my hair for a long time! I’m telling you my hair felt like BUTTER when I washed it out! This product it like magic. My hair feels amazing. I would absolutely buy this product again! I decided to blow dry my hair this time around. These two products talked about thermal protection, so I decided to put them to the test. I sectioned my hair into 6 parts, sprayed each section with the spray treatment, added the oil, then blow dyed. I repeated these three steps for each section and my hair came out SO SOFT! You only need a little bit of each of these products because too much will definitively weight the hair down. They both work great together, and are probably just as great on their own. I probably wouldn’t buy the oil spray treatment again, but I would definitely buy the argan oil treatment again. So ladies that’s it for the product review! I hope you have enjoyed it! Hopefully it was very informational. 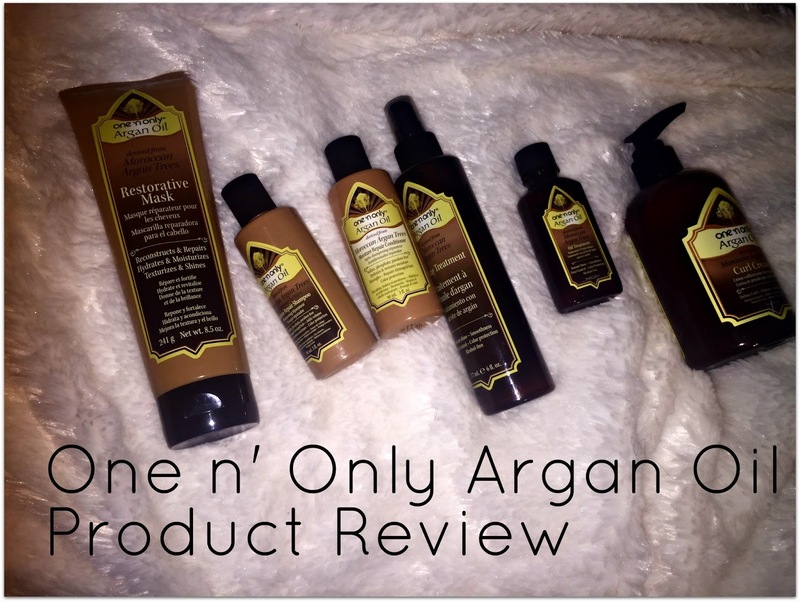 Overall I really enjoyed the One n’ only products. I would see myself buying alot of these products again on my own!! I’m glad that I was able to try out these products thanks to curlbox! If you haven’t seen my August Curlbox unboxing then click here. Also yesterday on the blog I showed you guys my new hair! Click here to check out my new do! You can keep updated with me on my social media by clicking on the links above. That’s it for the blogpost this week ladies. Be sure to come back next week for two new videos! I am starting up the fall videos since next week is officially the first day of September! Can you believe that??!!! I know I cant. So until then love ya lots like tator tots, and see you next week!